Sassicaia, Ornellaia, Tignanello, Masseto - all big wine names in yachting but what are they? Well, I am sure you know they are all from Italy but what perhaps is less known to someone new in wine is that these belong to a breed called Super Tuscans. This term was given to a rebellious style of wine in the early 1980s when Tuscan producers wanted to experiment with non-traditional grape varieties. Instead of using the indigenous Sangiovese, Canaiolo and Colorino, they started planting Cabernet Sauvignon, Cabernet Franc and Merlot. Most wine regions in Europe have strict regulations when it comes to grape varieties. So choosing to make a wine with Cabernet and Merlot in the Chianti area for example has consequences. It means that they have to de-classify the wine to a lower classification. For example, as a Chianti Classico a producer would enjoy the highest official classification in Italy, the DOCG (Denominazione di origine controllata et Garantita) but if making a wine of non-permitted varieties the wine would simply be Vino di Tavola, the lowest qualification. This resulted in a strange situation where by some of the best and most celebrated wines of Italy belonged to the lowest qualification. So, in 1992 the authorities created a new category; IGT (Indicatione Geographica Typica). This is equivalent to Vins de Pays in France which is also a low official classification but still better than Vino da Tavola. Today though even greater progress has been made and some of the top Super Tuscans have been upgraded to DOC where the regulations have been adjusted to allow for greater flexibility and choice of grape varieties. In terms of style, the Super Tuscans are typically more full bodied, possess a greater concentration of fruit and a denser structure than their more traditional siblings. When it comes to wine making, the Super Tuscans are often aged in new small French oak which adds plenty of toast and spice to the wine. This being quite contrary to the traditional style, where the use of large old oak casks is the norm for ageing, resulting in more stewed fruit with aromas of prunes and figs. The trend of the Super Tuscan wines is something many countries dream of replicating. It is difficult to measure the size of it and the number of producers involved but there must be around a few hundred different wines now. Fortunately for us in the yachting industry, we get to work with some of the most prestigious labels of this category. Here are a few to choose from with some interesting and useful facts. Sassicaia is one of the world’s most sought-after wines, especially in yachting. The name Sassicaia means “place with many stones”, and the vineyard’s gravel soils have been compared with the well-drained soils of Bordeaux. The estate is owned by the energetic Mario Incisa della Rocchetta, and it is in large part thanks to his vision that Sassicaia enjoys such a stellar reputation. The first vintage was released to universal acclaim in 1968 and Sassicaia is today accepted as one of the great Cabernet-based wines of the world. Maceration lasts around 14 days, and the wine is aged in French oak barrels, a third of which are new, for 24 months. Antinori is probably the most famous family name in Italian wine. Tignanello is their flagship wine and was one of the first Super Tuscans ever made. In the 1970s they caused a storm by being the first to age their wines in small French barriques. Despite the initial outrage, this trend spread across Tuscany, and Antinori changed the face of Tuscan wines forever. Tignanello is usually 80% Sangiovese, 15% Cabernet Sauvignon and 5% Cabernet Franc. It’s aged in oak barrels for 12 months, and in the bottle for another 12. Another wine produced by Antinori, Solaia is virtually Tignanello’s mirror image, with 80% Cabernet Sauvignon and 20% Sangiovese. It was created almost by accident when, in 1978, the estate found itself with too much Cabernet Sauvignon. They experimented, and thus Solaia was born. It means “the sunny one”, as the best grapes are picked from the sunniest part of the Tignanello hill. A Cabernet Sauvignon and Merlot blend, this wine is one of Italy’s leading Bordeaux-style reds. This winery was initially established by the Antinori family, the producer of Sassicaia. The vineyards are located on the Tuscan coast in the Bolgheri area, where the Bordeaux grape varieties grow very well. The vineyards are arduously cared for, and attention is paid to the smallest detail by the approximately 80 people working amongst the vines year-round. Ornellaia is a firm favourite of George Clooney, who even ordered it for his wedding! Also made by Tenuta dell'Ornellaia, Masseto is produced from grapes grown on the eponymous single vineyard site in Bolgheri. It is regarded as Italy’s finest expression of Merlot and is comparable to the legendary Pétrus of Bordeaux. Typically rich, ripe and concentrated and with a smooth, velvety mouthfeel, this wine perfectly combines plump, fruity character with the elegance and structure typical of Bordeaux wine. 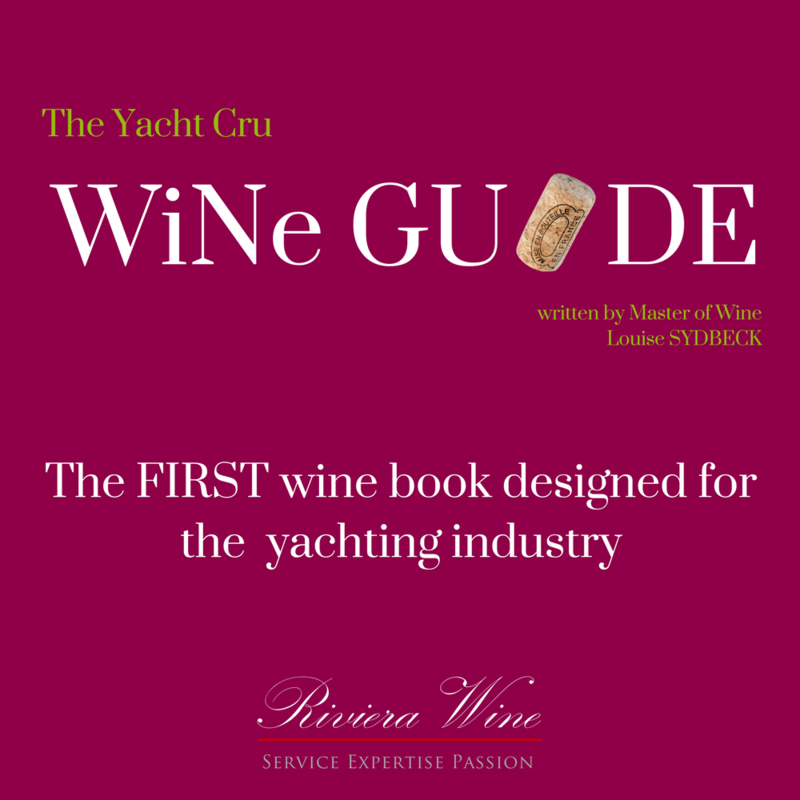 It has gained a global reputation amongst wine enthusiasts, and especially yacht owners.